This video demonstrates how to make khanom buang yuon, a stomach-filling dish that's more difficult to make than it looks here. 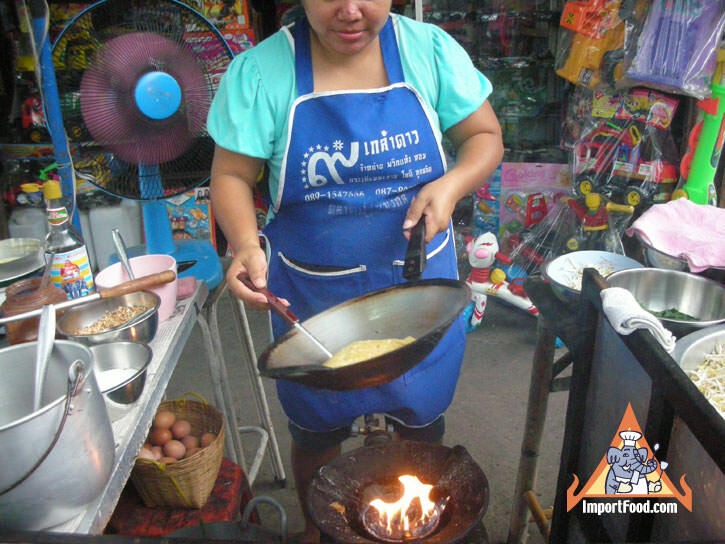 One key is to dedicate one well-seasoned wok for khanom buang yuon, not using that wok for anything else. 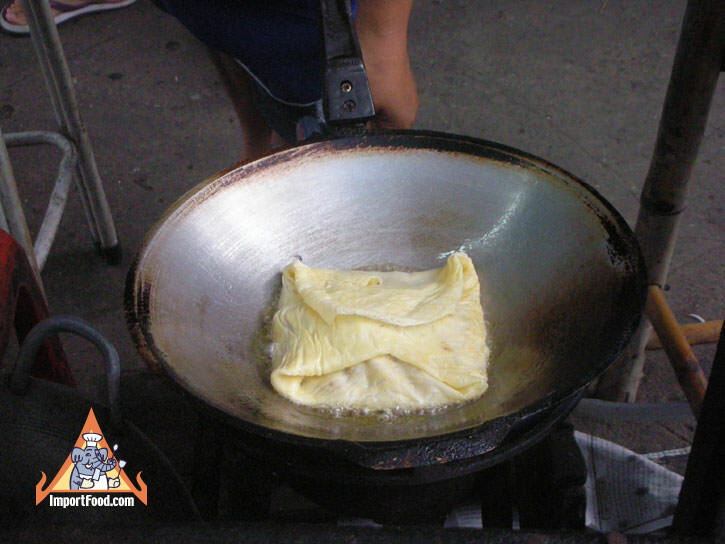 Use the right amount of oil, before cooking and after the egg is folded. Practice over and over until the egg won't stick to the wok. Watch carefully as this master chef shows all of the necessary steps. 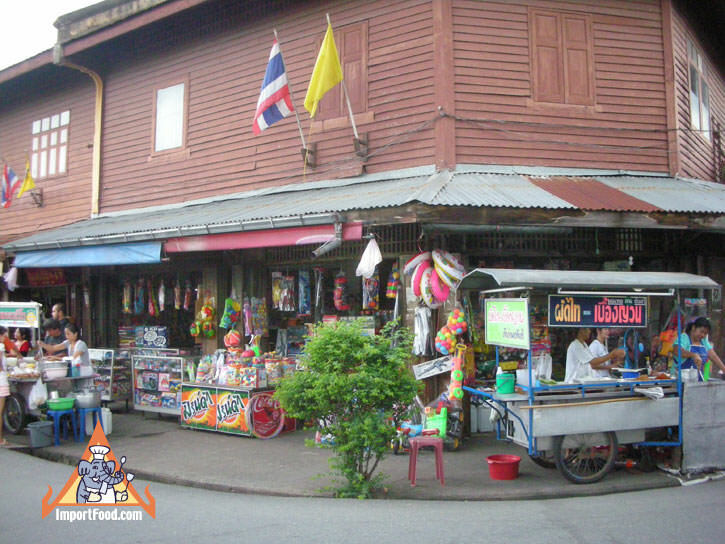 She's very well known in the area of Nakorn Pathom, having an excellent reputation. 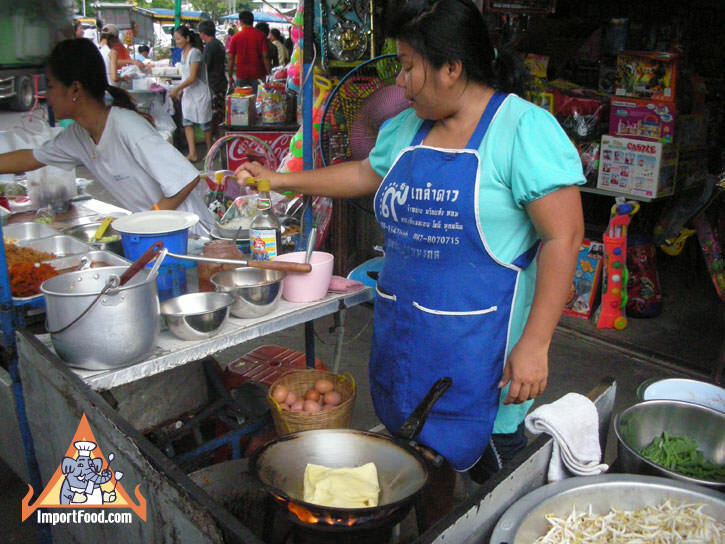 As a result, she's always cooking for a steady stream of customers. 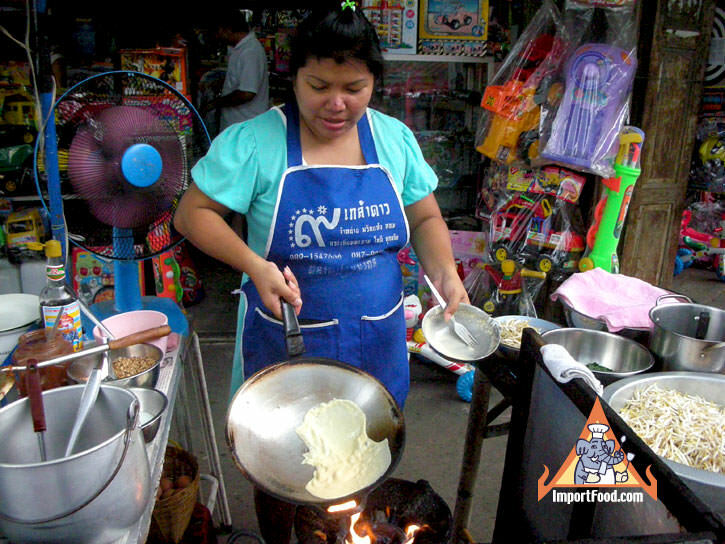 Her shop name is Pad Thai Ruang Yuon, noting the two recipes she specializes in (see her making classic Pad Thai here). 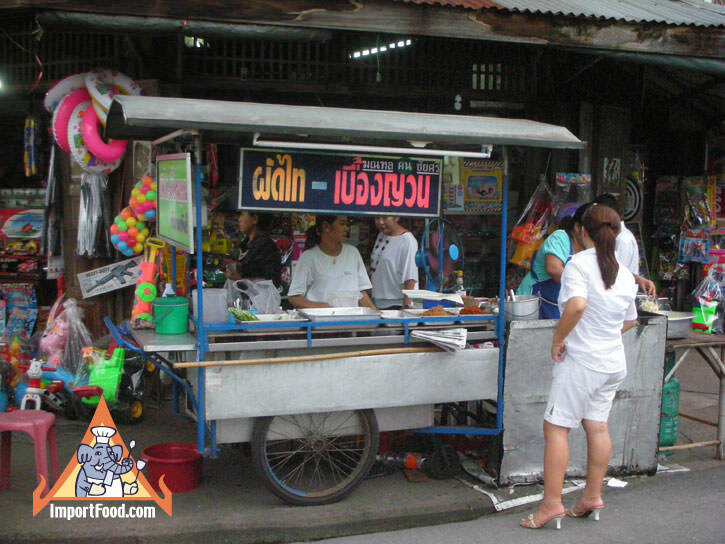 The filling is identical to the shrimp topping for khao neeo moon (see recipe below). 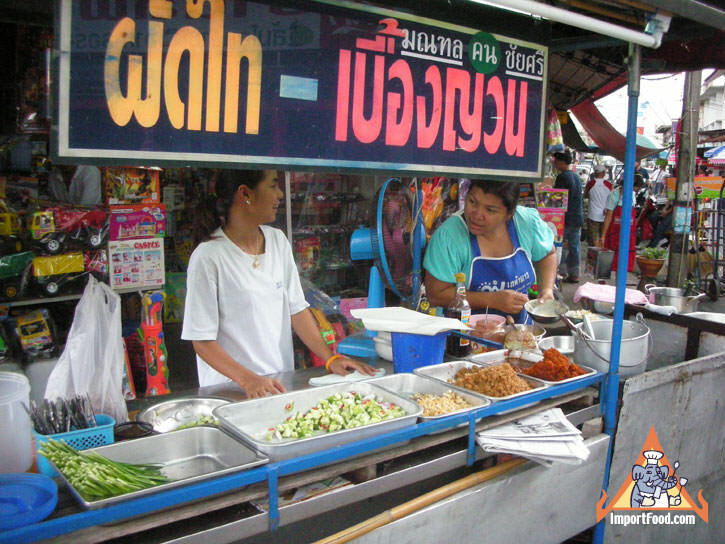 Khanom buang yuon is always served with a cucumber salad called ajad (see recipe for ajad below). 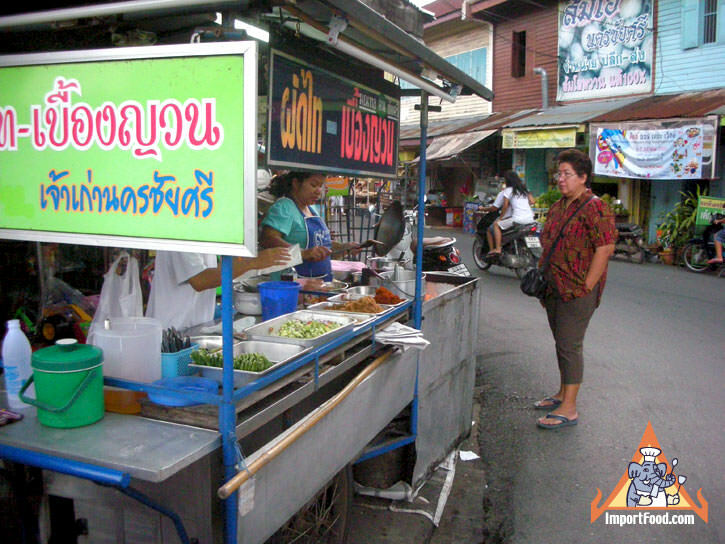 We also featured a similar dish, called khai yad sai (which is often served with rice not ajad) made by street vendors in Kanchanaburi. Chop shrimp and coconut together and add a little orange food coloring. Pound shallot, pepper and coriander powder in a mortar and pestle until ground and mixed thoroughly, and fry in the oil until fragrant, then add shrimp and coconut and fry until done, seasoning to taste with salt and sugar. 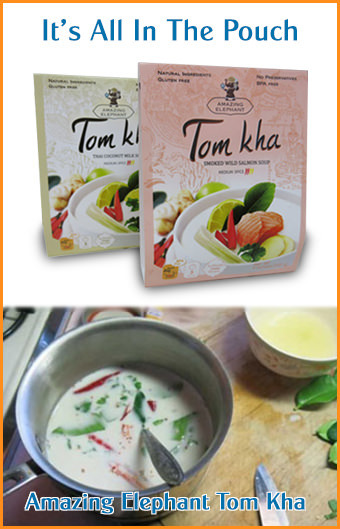 Remove from pan and sprinkle with sliced kaffir lime leaves. Also see ajad in our recipe for pork satay.